I spend a lot of time reading old issues of the Thresher. Truly, that’s an understatement. I have stacks of bound volumes in my office at home and it’s a rare day that I don’t open at least one. They’re digitized and available online, of course, as is the custom these days, but there really isn’t any substitute for holding them in your hands. The late 1960s were strange, strange times. Interesting. 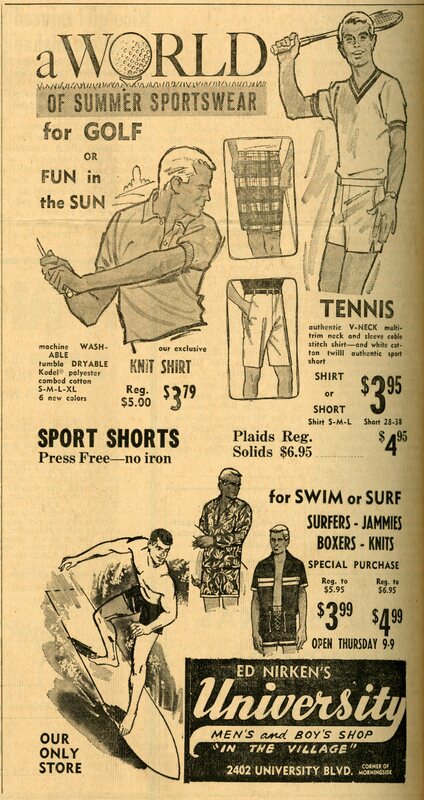 Solid shorts are more expensive than plaid shorts. I wonder if I am reading too much into that. That made me laugh. It’s also possible that you aren’t reading *enough* into it. I wondered if Neal von Hedemann had drawn that cartoon, but I see he graduated in ’72. He was (maybe still is) a professional cartoonist. I think he had some of his work published in the Thresher. 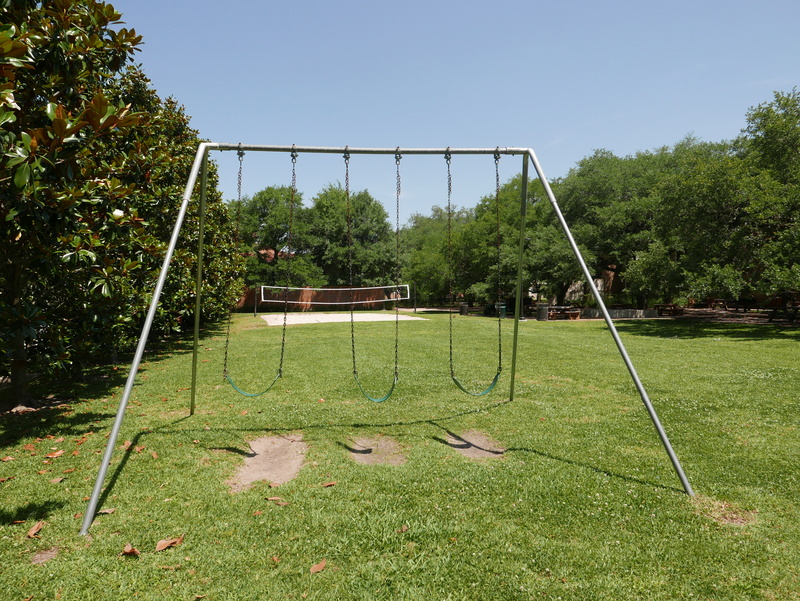 Looks like Bill Merriman’s handiwork to me. Would love to see his “Win a date with Steve Frakes” poster again. I’ve got a copy somewhere . 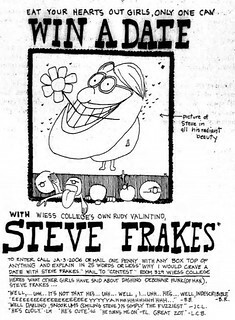 . .
… which I found on page 6 of the Nov. 11, 1965, Thresher (along with a detailed article headlined: “Our Hero … ‘Win a Date With Frakes’ Campaign Snowballs” (https://scholarship.rice.edu/bitstream/handle/1911/66423/thr19651111.pdf?sequence=1). Surfing?? Is there a surf break anywhere near Rice? I think all the men look like my Ken doll from the same era. I don’t think I have ever ironed a pair of sports shorts. We instantly recognized the cartoon’s author. Wm. (Bill) Merriman ’67 is still drawing cartoons. He is also the originator of the original “Win a date with Steve Frakes” campaign during our undergrad days. There are probably many more of his cartoons in the Threshers of that era.